Romantic Comedy is not an adequate enough term to describe this book. 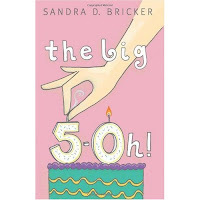 Ripe with humor without being slapstick silly, The Big 5-0h! is also a pure romance with a nice blend of emotion. Olivia Wallace has spent her entire life living with the dark cloud of a birthday curse hanging over her head. Nearly every year, and most assuredly on a “big” birthday, something bad happens. So it’s no wonder she dreads her upcoming birthday. But the fact that it’s the big 5-0 only makes it more fearsome. Since I’m (gulp!) facing that very same birthday, I’ll admit the title alone was enough to intrigue me. When Olivia’s well meaning friend manages to coerce her into a house-sitting escapade disguised as a vacation in Florida, Olivia hopes the birthday curse won’t catch up with her. And that's when the fun begins. This book features a great cast of characters. It doesn't help that the gorgeous doctor next door has an overly-flirtateous twenty-something son who is quite interested in Olivia, and a secretary determined to make her feel unwelcome. She likens Olivia to Splenda in sweet-tea. They just don't belong together. Olivia's past battle with ovarian cancer is very realistically portrayed, as the author herself is a survivor of ovarian cancer, and currently someone very dear to all of us Inkies is facing the very same battle. The romance in this book swept me up quite naturally. There were parts where I laughed out loud, and parts where my heartstrings were tugged good and tight. Served up with a heaping dose of spiritual wisdom, this truly is an enjoyable, satisfying read, and each chapter begins with an excerpt from one of the sweetest, yet most profound, children's stories I've ever read. Sandra D, Bricker’s books have always been enjoyable, and this one is no exception. I really rooted for this heroine. Great job, Sandie. You just keep getting better and better. Thanks for stopping by. I’ll be giving away a copy of The Big 5-0h!, so please leave a comment along with your e-mail address so I can contact you tomorrow evening (Sunday, January 24th) if your name is drawn. The Big 5-0h! is available in bookstores next week, but if you leave a comment with your e-mail address, I'll put you in a drawing for the copy I'm giving away. Barnes and Noble lists it as available on the 28th, while Amazon lists it as available for pre-order with no date. 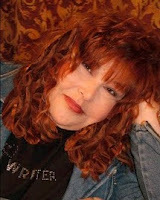 And be sure to catch Sandie's next book, sure to be a hit as well, Always the Baker, Never the Bride, coming this fall. **Visit my personal blog at http://suzieswritingplace.blogspot.com where I'm reviewing and giving away a copy of Margaret Brownley's inspirational historical romance: A Lady Like Sarah. Wonderful review!! I can't wait to read it. Well, I've still got a while before the big 5-0. This year I face the big 4-0. But my friends decided it would be hilarious to put up "Lordy, Lordy, look who's 40" signs at my 35th birthday, so I think I'll be emotionally prepared. Sounds like a good read. Please enter me. Thanks. Suzie, thank you so much for the great review. There are always those few reviewers that a writer holds dear, hoping against hope that THEY will love the next one. Big sigh of relief, and lots of humble thanks, for rocking this book for me. By the way, I L.O.V.E. the new look of the blog! Thanks for your kind words, Kristi, Karen and Linda. You're all entered in the drawing. I do agree, book contracts would be nice birthday presents for all of us! Thanks for stopping by Sandie! The look of the blog is all due to our very talented, and uber creative Lisa Richardson. She's the best and we're so blessed to have her. Suzie, thanks so much for the review! This books sounds like a lot of fun, and I can't wait to read it. Sandie's a wonderful writer. A great review. The Big 5 - 0 is added to my TBR list. Suzie, I do hope your next big birthday is accident-free :-) Sandie, your book sounds like a fun read. Hi Narelle. Thanks for the good thoughts for my birthday. I don't need anymore broken bones. LOL! Wenda and Susie D, thanks for stopping by as well. I think you all will love this book. Even though I'm supposed to be studying, I have just been given the irresistable invitation to go to Bellingham to Barnes & Noble. What am I supposed to do? I can hear those books calling my name. Ladies, I think I'm going to study in the car while someone else drives, and go buy some books! I'll check back in a couple of hours. This one sounds like a fun read. The perfect antidote to the mid-winter blahs. Sandie, thanks for stopping by. It always adds an extra little thrill to have the author hop in on a discussion. You know the story better than anyone. Hi Lisa. You are so right. This is the perfect book to chase away the blues. Especially considering it's set in sunny Florida. Well... except when a little bit of bad luck blows Olivia's way. My excursion to Barnes & Noble was very fruitful today because I actually bought a book that will help me with the class I'm taking right now. I "studied" the book all the way home, so I don't think I wasted any studying time by going to B&N. And ladies there are lots of new inspirational fiction books out there. I put at least 12 back on the shelf to order later. Sounds like a good book! My big 5-Oh is coming up in just a couple of years! I celebrated my 40th with a big garden tea party (summer birthday). What to do for the 50th?? Hmmm! Elaine, I have a summer birthday, too. I've been thinking a lot about this. I wanted to go parasailing for my 40th birthday. But I broke my leg a week before (ice skating) and missed out on the parasailing. So I'm thinking...would that be a great thing to do for the big 5-0, or is that inviting, ahem, trouble? This sure looks like an interesting book. Thanks for the review. You, too, Missy? We should have a big 5-0h! party at the next conference. I don't think I want to wear black, Missy. I don't want a black cake, either. We can celebrate mine this year and yours in two years and anyone else in-between. And Missy, I just drew names. You are the winner of The Big 5-0h! I'm thrilled to win the drawing! Thanks so much!